Despite Chrysler’s promise earlier this year to ramp-up efforts to fix more than a million Jeeps recalled over a year ago, consumers continue to report issues with obtaining the needed repairs. The Wall Street Journal reports that although Chrysler announced earlier this month that plenty of parts were on hand to fix the recalled Jeeps, consumers are often told the parts aren’t available or that other repairs – to be done at their own expense – are needed before the recall remedy can be installed. Ever since the recall was first announced in the summer of 2013, it’s been at the center of much controversy and debate. The National Highway Traffic Safety Administration sought the recall over concerns that the vehicle’s gasoline tanks could split and catch fire in rear-end collisions. According to the original recall notice [PDF] model year 1993-1998 Jeep Grand Cherokee and 2002-2007 Jeep Liberty vehicles have rear-mounted fuel tanks that sit too low and are at risk for rear-end explosions. So far, NHTSA has linked 51 deaths to fiery rear-end collisions involving the vehicles. It’s unclear if that figure includes a pregnant Michigan woman’s death last week. According to the WSJ, the 23-year-old woman died when her 2003 Jeep Liberty was struck from behind and caught fire. An attorney for her family says the vehicle had not yet been repaired. From the beginning, Chrysler has maintained that the issue is not a safety defect. However, last summer, the car manufacturer and NHTSA agreed to a remedy for the issue that involved equipping vehicles with a trailer hitch that could reduce the risk of fires. 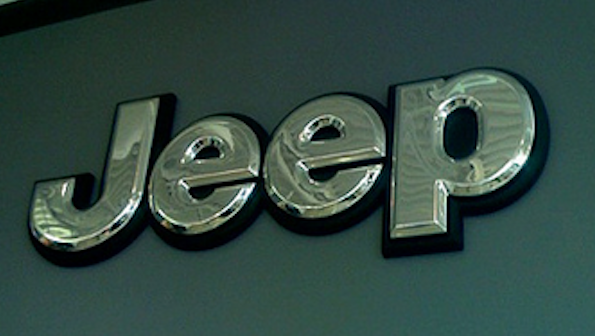 It was reported last week that only about 8.6% of the 1.56 million Jeeps involved in the recall have been fixed. While NHTSA officials criticized Chrysler for the slow-moving repairs earlier this summer, the manufacturer has since said it has about 461,000 parts on hand to provide fixes. Still, a majority of the recent complaints filed with NHTSA regarding the recall involve a lack of parts from dealers. A complaint filed just last month highlights consumers’ continued struggle to have their vehicles repaired. The owner of a 1998 Grand Cherokee reports that when the vehicle was brought to a dealer, he was told the parts were not available. The dealer didn’t give a specific date for when parts would be available. He then contacted Chrysler and was told they could not provide an estimated date for when the vehicle might receive the recall repairs. Another owner tells NHTSA of the numerous issues they experienced when trying to remedy the recall. A lack of parts isn’t the only issue consumers have faced when it comes to attempting to repair the recall issue. Some owners say they’ve been told their vehicles can’t be fitted for the hitch until they make other costly repairs. In one complaint the owner of a 2003 Jeep Liberty says that after receiving a recall notice from NHTSA he was informed that the dealer was unable to install the hitch due to corrosion on the vehicle’s frame. Another consumer tells the WSJ that he was handed an estimate of more than $3,000 to fix corrosion issues on this SUV before it was capable of actually fixing the recall issue. Additionally, NHTSA says that the manufacturer isn’t responsible for repairs to previous vehicle damage.